Learn more about Vonage Communications, and their cost-efficient VoIP solution for businesses of all sizes. 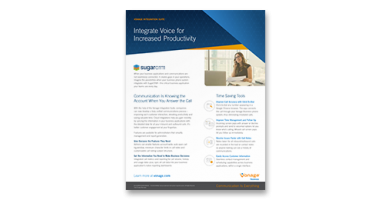 Get more out of Sugar with its integration to Vonage Communications — a rich, easy to use and intuitive interface designed to integrate your voice interactions into your key CRM workflows. Imagine the possibilities when your business phone system integrates with SugarCRM – the critical business application your teams use every day. 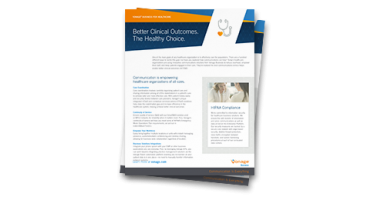 One of the main goals of any healthcare organization is to effectively care for populations. There are a hundred different ways to tackle this goal, but have you explored how communications can help? With Vonage’s integration, you can make changes in default billable hours, while seamlessly pushing call time and rates to billing. 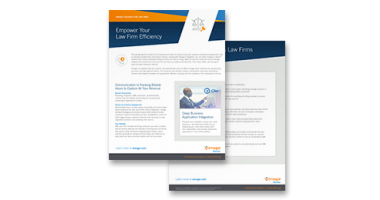 Learn more about all the benefits for your law firm. 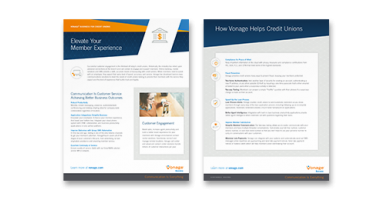 Vonage has developed best-in-class communications solutions to meet the needs of financial institutions looking to provide their members with the service they expect and the kind of experience that builds trust and loyalty.